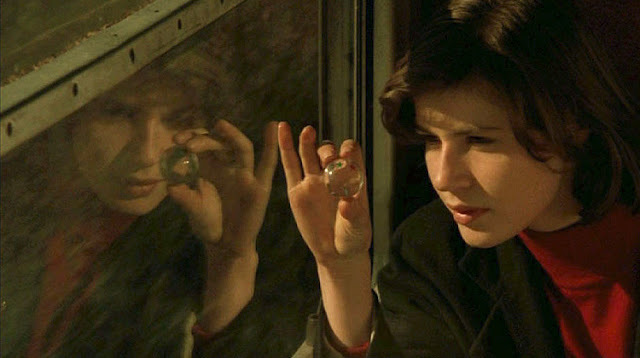 Still from The Double Life of Véronique (1991). Image Source: Wonders in the Dark. I have a friend who wants to streamline his online image for professional reasons. He wants to deal with the Facebook photos which other people obligingly took, posted, and tagged with his name without asking. He wants make sure that nothing weird comes up when you google him, either correctly (some detail he would rather not remain permanently public) or incorrectly (some detail that is falsely associated with him). Depending on how common your name is, you will be familiar with the experience: you google yourself, and up come the other people with your name. If you have a common name, then you have the comfort of the crowd; but then you have the problem of having any Web presence at all (assuming you want one). But since my friend has an unusual name, for a long time googling him only brought up results about him. As the Web's reach deepened, another person appeared online with his name.